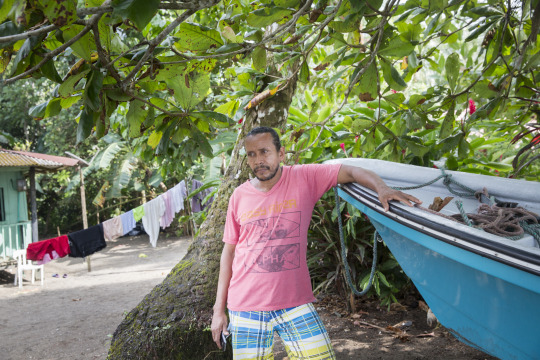 Silfredo used to collect turtle eggs nested on the beach unraveling in front of his house. Cooked as omelets or pies, they made for reliable treats. Daily rations of the community could amount to hundreds of those soft ping pong balls and to 10 turtles, apparently as savorous. This was before they realized that they were going extinct and Silfredo undertook their conservation. Since 2003, he is walking kilometers a day to survey nesting, protect them from poachers and dogs, looking for cracks in the sand that announce imminent birth and overseeing their release to the sea. “I didn’t need the help of scientists. I have learned how to take care of them by observing nature”, he proudly pointed out.